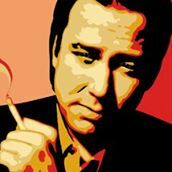 Bill Hicks has always been my guiding light. He was before he passed, and he has been ever since. Thank you for yet another fine tribute to a largely unsung American hero. Wow. 20 years gone already. Amazing. And yet, I still hear Bill, loud and clear. And for that, I am thankful!